Where photographer’s dream meets tropical oasis, The Seychelles sprinkle the Indian Ocean off East Africa. 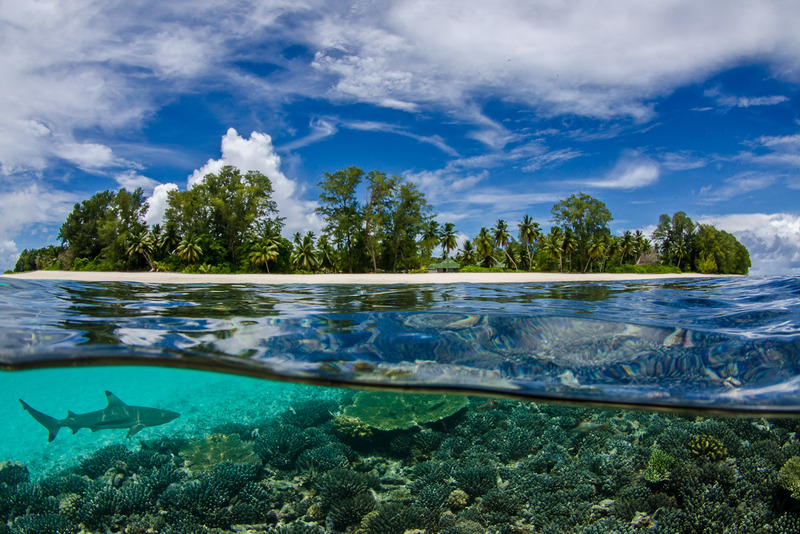 The Seychelles are some of the most idyllic islands on the planet and the muse of underwater photographer Byron Dilkes. His shot here of a blacktip reef shark patrolling a beach recently won the UK National Award at the Sony World Photography Awards. The Seychelles are best visited in April/May or October /November when a pause in the trade winds produces ideal conditions for snorkelling off the many perfect beaches.